We believe everyone can find their place at Long Leaf Baptist Church. 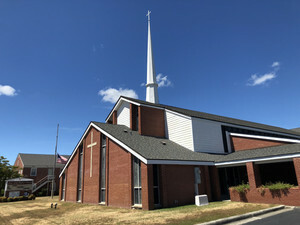 Long Leaf Baptist is a dynamic family church for everyone with people of all ages and from all walks of life. Whether you're completely new to church or just haven't been for awhile, we'd love to see you. Join us Sunday mornings and Wednesday evenings. At Long Leaf Baptist you can expect a friendly welcome, a dynamic service, and relevant teaching. We have a front and back entrance and you will be greeted at either entrance with a warm smile and the hand of fellowship.